Marlborough Grange #205 will sponsor a boy and girl for campership to Camp Berger in Winchester this summer. Each recipient will get one week at camp. 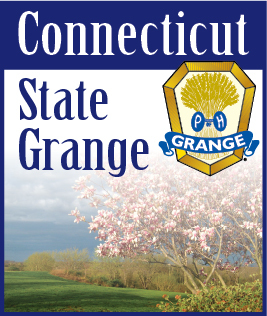 Camp Berger is operated by the Connecticut State Grange. It is a full camp with all activities including swimming , basketball, arts and crafts, camping , music, dancing, Indian lore, fishing, boating, softball aerobics and more. The camp is open to boys and girls ages 7-14. Any deserving child interested should submit a short paragraph of about 25 words as to why he/she thinks they would like to go to camp. For information, contact Laura Combs at 228-3668 . Requests should be received by the Grange no later than April 1. The short paragraph should be mailed to Laura Combs, 7 Thompson Hill Road, Columbia, Ct. 06237. The recipient of a campership will be presented their award at Grange Awards Night on May 18. Grange membership is not a requirement.